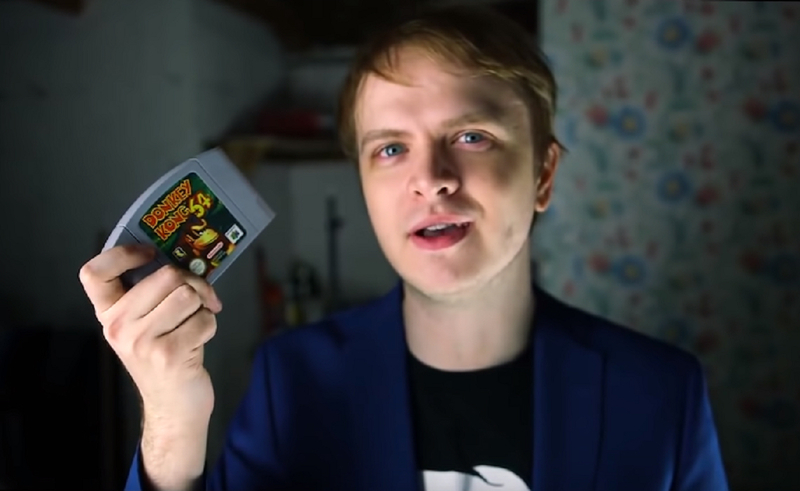 This past weekend, in a multi-day Twitch stream that drew supporters like U.S. Congresswoman Alexandria Ocasio-Cortez and transgender activist Chelsea Manning, gamer hbomberguy played more than 57 hours of Donkey Kong 64 to raise money for U.K.-based transgender organization Mermaids. hbomberguy (real name Harry Brewis), who has 43,600 followers on Twitch and 337,000 subscribers on YouTube, decided to commit to playing the Nintendo game to 100% completion for two reasons. One was the simple fact that he’d never beaten it. The other is a bit more complicated. Linehan gave Mumsnet users the email address of a National Lottery official and suggested they send her a copy-and-paste letter alleging that Mermaids pushes “an extreme ideological agenda” and that “they are not professionals and they have no qualification to work with children and young people.” His efforts resulted in a still-ongoing review of the decision to grant Mermaids funding. Brewis launched his Twitch stream Friday morning, and within 24 hours, he’d raised more than $50,000, per Polygon. A host of guests, including Manning (who gave Brewis some gameplay tips), Doom co-creator John Romero, and video game journalist Jim Sterling came on to support Brewis’ fundraising. But it was Ocasio-Cortez’s appearance on Sunday that truly supercharged the stream. Her tweets and appearance got the stream trending on Twitter, and folks had plenty to say in support of Brewis’ efforts. Let’s get this straight: @Hbomberguy raised 200k for trans kids by playing Donkey Kong 64 and John Romero literally swung by to yell TRANS RIGHTS on stream. Gaming is officially no longer the monopoly of easily butthurt cishet dudebros. In a tweet, Brewis said that not only will money donated through the stream be going to Mermaids, but he’ll also donate any Twitch Bits (onsite currency that translates to real money when viewers give them to streamers) and new subscription payments — $4.99 each — he received this weekend. Adding subscription money could rack up to thousands more dollars for the charity, considering Brewis gained nearly 20,000 new Twitch followers this weekend. After the stream concluded, Brewis said details of the donations will be announced a bit later, and indicated that for now, he’s off for some much-needed and very well-earned rest.